Mutational signatures were pioneered by Nik-Zainal et al. in 2012 and the concept has since become instrumental in the analysis of the etiology of cancer. 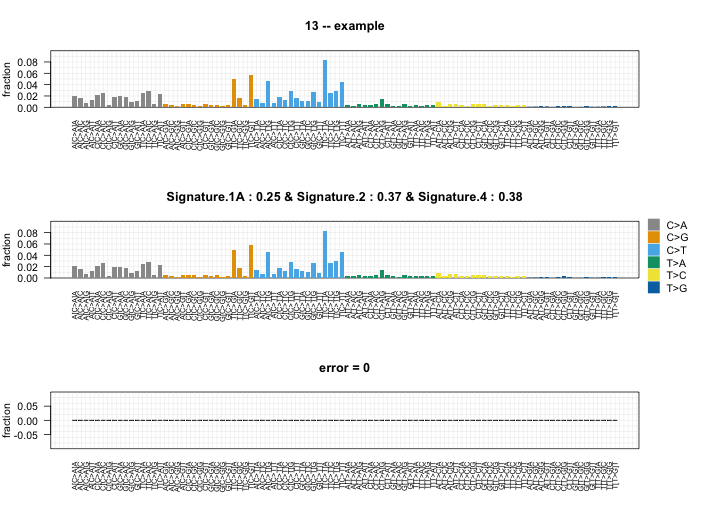 The first publication of mutational signatures was accompanied by the WTSI Mutational Signature Framework by LB Alexandrov. This framework is written in MATLAB, which is a proprietary language/environment. As a result a number of frameworks have been written in non-proprietary languages, allowing free access to mutational signature analyses. Mutational signature analyses have primarily been done on human tissue, and to the best of my knowledge, the frameworks for performing these analyses don't support non-human analysis out of the box. I ran across this issue in my own research, analyzing exome sequence data from mouse mammary tumors. I'm writing this post to show an extremely simple solution to this issue by making some small modifications to the deconstructSigs package. R packages are generally installed from the central CRAN repository by using the `install.packages` command. However, these packages come pre-compiled and can't be modified, so you'll have to download the package by cloning the deconstructSigs GitHub repository. # chromosome number, variant position/coordinate, reference and alternate bases.